Radar, Radars, Radar Database, Radar Databases, Radar Emitter DataBase (REDB). Radar parameter knowledge is essential for an automated Electronic Warfare (EW) emitter identification and classification function to succeed. The REDB is a large and dynamic database of radar parametric information that has been used to support Governments and their Agencies, Civil and Commercial organizations research programs and Military projects over the last twenty six years. The REDB contains over 14,700 global primary emitter system identities and a further 6,700 aliases or sub-system names and designators, ordered by emitter name and mode number, covering terrestrial and celestial installations in spacecraft, aircraft, balloons, land-based mobiles, ships, submarines, unmanned vehicles (UAV) and at static sites. It includes emitter’s identity, manufacturer, origin, use, international users and associated weapons, as well as minimum, median and maximum parametric values, some with intra-pulse information. Here is a selection of modern landbased 3D emitters on file. 104Zh6, 14TS031, 1L125, 1RL248-4, 48YA6-K1, 50N6A, 55Zh6-1, 5P-27M, 69L01, AAUSAT-4, ABS-2A, AD06 ATAR, AJS-40C, AN/APQ-187, AN/APS-154, AN/FPQ-16, BASEER, CHEOLMAE-2, CLC-3B, CROWSNEST, EL/M-2135, GAMEKEEPER, GLC-44, KLJ-7A, KS/SPS-98K. NB: The REDB now includes selective communications systems such as microwave data links that share the metric, centi-metric and milli-metric wavebands as well at OTHT radars operating in the HF, VHF and UHF communications frequency bands. 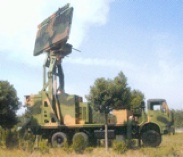 The user-friendly REDB format and its detail is sufficient to enable a wide range of spectrum research applications, encompassing the support of current, semi- and automatic EW systems, general radar investigations, radar marketing research, simulation and stimulation development and, operator, user and engineer / maintainer training requirements. An REDB users’ handbook of 200 pages is available in soft copy. It defines each of the parametric fields employed in the database in user friendly terms and tabulates the abbreviations used in expressive fields along with graphic examples. Section 1 of the handbook is a General Explanation Of Terms (GEOT) and cues expanded explanations within the document. The UK Association of Old Crows (AOC) is the British Chapter of an American founded organization that recognizes Electronic Warfare as one of the military's primary sensors. It members number both in-service and retired Officers and Ratings of all fighting forces with an EW related background. For a small annual subscription it offers comradeship, a monthly newsletter and regular gatherings and events."